This UNESCO World Heritage Site holds many threatened species including critically endangered black rhino, endangered Grevy’s zebra, and elephant, cheetah, lion and leopard. Its activities focus on the protection and management of species, the initiation and support of community conservation and development programmes, and the education of neighbouring areas in the value of wildlife. Lewa’s initial population of 15 black rhino in 1984 has consistently expanded, enabling translocations to other key sites (including Borana and Sera Conservancies). The resident Kenya Wildlife Service (KWS) vet assists with translocations and is also responsible for treating injured and sick animals, conducting wildlife rescues and helping to alleviate human-wildlife conflict. Due to the constant threat of poaching the rhino populations (and other wildlife) are monitored daily by field rangers. An armed response team, assisted by sniffer dogs, is also made available to nearby conservancies (including the Northern Rangelands Trust) and the KWS, as are the radio room and Joint Operations Centre. Tusk has been a major partner of Lewa since its inception. Our first donation was of two white rhino in 1995. We also funded the first wildlife relocation from Lewa, of 15 giraffe to Namunyak Wildlife Conservation Trust, and have helped with many more since including zebra, waterbuck, rhino, and elephant. We have donated vehicles including a pick-up truck for the anti-poaching teams and a light aircraft for aerial surveys and ranger support. We have also funded running costs like fuel, road and fence maintenance, uniforms, and salaries. Tusk also supports Lewa’s community and education activities. Lewa is the host to Tusk’s annual Safaricom Marathon. Co-organised with Lewa, this event raises over $700,000 a year for the conservancy, community development and education projects across Kenya. 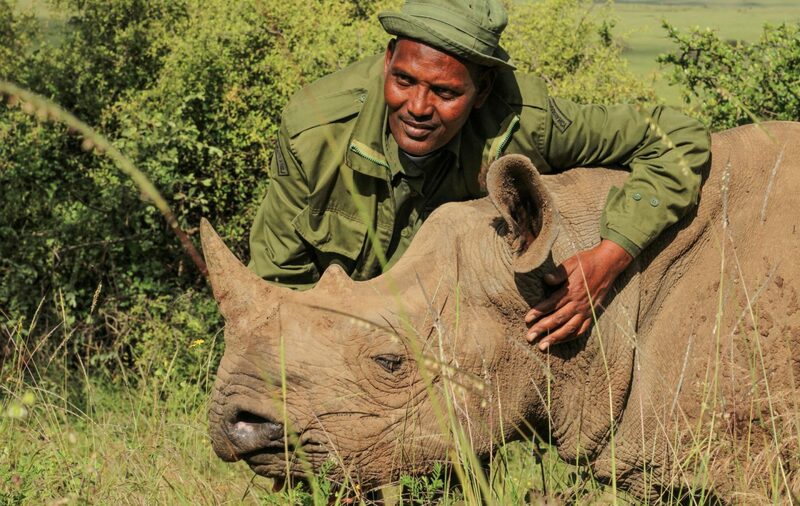 Lewa is an award-winning catalyst and model for conservation in Northern Kenya. Tusk is dedicated to supporting its ongoing activities.